Cameron Bradford was born in 1973 to a family with deep roots in Central Florida. His grandfather was a local doctor who also dabbled in real estate in and around Winter Garden, Florida. His father was a General Contractor who, like Cam, built new homes. At an early age Cam was introduced and immersed in the construction industry. He learned the tricks of the trade helping his father in both the manual labor of construction and also the administrative side of running a construction company. 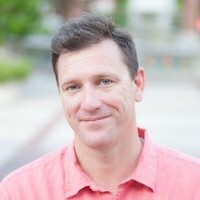 Following high school, Cam attended the University of Florida from 1992-1996, earning a Bachelor of Science in Building Construction and acquiring his general contractors license. Following his degree, Cam returned to Winter Garden, Florida to work for and started his own construction company. Cam has built over 400 homes in the central Florida market. 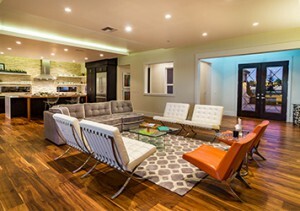 Cam’s vision for the company was to create unique dream homes for specific clients that would stand out. Since it’s inception, Cam Bradford Homes has built homes that are as much artwork as they are architectural. Cam Bradford Homes has won awards through the Greater Orlando Builders Association Parade of Homes and been recognized as the Reader’s Choice #1 Custom Home Builder by the Orlando Business Journal.